Take the spa experience to a new level by planning a trip to Germany with its extraordinary backdrops and world class spas and wellness destinations. 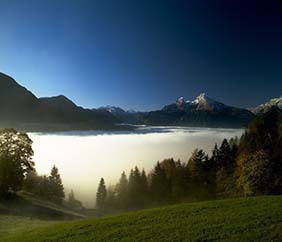 Stunning natural landscapes, iconic landmarks and deluxe spa hotels make Bavaria a great choice for your next wellness escape. Choose the Bavarian Alps to recharge in beautiful mountain scenery, and with a stay at 5-star Hotel Schloss Elmau, which is welcoming its sister property, Schloss Elmau Retreat in March and will host the G7 summit in June. While in the area, don’t miss a visit to the fairytale castle Schloss Neuschwanstein. Or, head to the nearby Berchtesgadener Land which is part of a UNESCO biosphere reserve and offers such unusual treatments as a hay or whey baths and warm mud treatments. 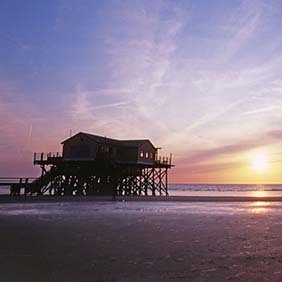 Located in Northern Germany’s Wadden National Park, St. Peter-Ording has been a leading spa resort for over 150 years. Take a long walk on the beach to soak up the pure, salty air, or explore the extensive pine wood forests that were laid out over a century ago. Then, spend a relaxing and romantic evening at Restaurant and Bar “54,” which is located in the North Sea, connected to the mainland by a walkway. 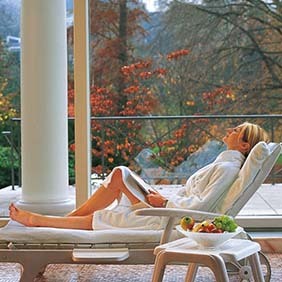 Glamorous Baden-Baden has been a favorite destination for vacations that combine wellness, culture and luxury since the Belle Époque. Stay at hotel “Der Kleine Prinz,” a cozy, romantic property dating back to 1890 or opt for a suite overlooking the park at Brenners Park-Hotel and Spa, whose restaurant Brenners-Park Restaurant was just awarded a Michelin Star. Many hotels offer their own spa facility, alternatively you may visit one of the public thermal baths, such as the Roman-Irish Friedrichsbad, which opened in 1877 and guides visitors through its 17 stages to well-being. 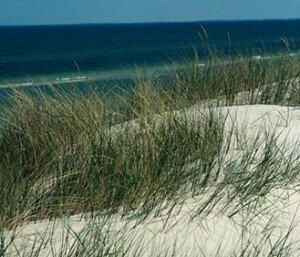 The islands and the mainland around the Baltic Sea offer the perfect combination of seaside resorts, a healthy climate, and plenty of wellness facilities. Beautiful small cities with romantic spa hotels such as Schlossgut Schloss Schwansee (a beautiful countryside manor with a spa located in the former horse stables), or the Neptun Spa and Hotel in Rostock, featuring an expansive, 25,000 square foot spa including a pool with fresh Baltic sea water, are more reasons to visit the region. 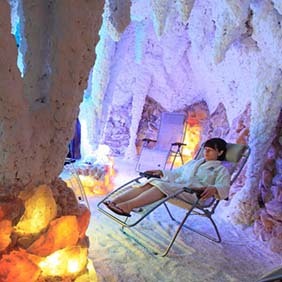 The region in and around the Thuringian Forest in Eastern Germany welcomes R&R-seeking visitors to towns such as Bad Salzungen, where SOLE (salt) treatments have a long history due to the natural saltwater springs, making it one of Germany’s oldest saltwater spas. Located on a peaceful fresh water reservoir, Bio-Seehotel Zeulenroda is Germany’s first organic resort offering a variety of treatments as part of the guests’ carbon-neutral stay.